Bali Souvenior Shop Toko Cendana is one of fabric stores located at Jalan Sulawesi, a street full of shops and one of the most popular places for anyone who interested in fabric. 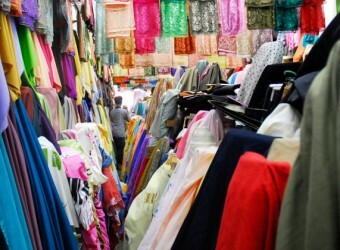 The whole street consists of fabric stores on both sides which are selling a variety of textiles as cotton, silk, rayon, etc. Here the prices are not fixed so you need to bargain.